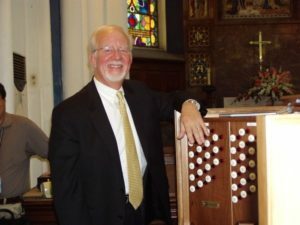 Concert Organist and R. A. Daffer Church Organs, Inc. Sales Director David Lang play the J. S. Bach Organ Concerto in A Minor (BWV 593 – after Vivaldi RV 522) on the Johannus Studio 370. 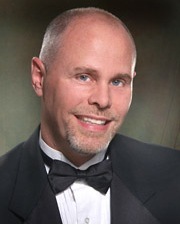 John Green performs and arrangement of A Might Fortress Is our God on the Rodgers Artist 599. First published in 1886 for organ, this romantic period piece based on a tune of a popular British song written by John Stafford Smith provides an entertaining tour of the tonal variety available in the Infinity organ, including some of the non-organ voices. “The Star-Spangled Banner” was recognized for official use by the Navy in 1889, and by President Woodrow Wilson in 1916, and was made the national anthem by a congressional resolution on March 3, 1931, which was signed by President Herbert Hoover. This unpublished piece, Ding Dong Merrily on High, was given to Ken Brown by the late Keith Chapman. 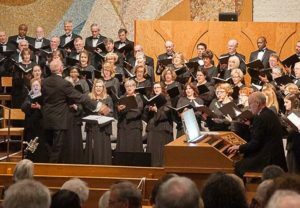 This cut is from the Cathedral’s CD “Sweet Little Jesus Boy” and is played on the Cathedral’s Rodgers/Moller organ. Specifications of this organ can be found under the Featured Installations section. Monty Bennett, Organist at Friendship Missionary Baptist, is playing the first two movements from Mendelssohn’s Sonata #2 at the organ’s dedication service in 2006. Specifications of the organ are at http://www.ruffatti.com/specs/charlotte.html.